How much is Sabeer Bhatia Worth? Sabeer Bhatia net worth: Sabeer Bhatia is an Indian American businessman and entrepreneur who has a net worth of $300 million. 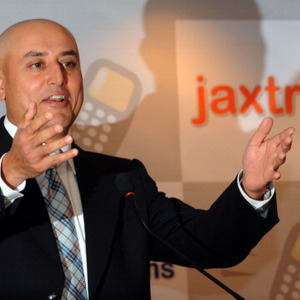 Sabeer Bhatia earned his net worth from many endeavors but is most famous for being the co-founder of the email service known as Hotmail. Sabeer was born in Chandigarh, India on December 30, 1968, and grew up in Bangalore. He attended school at The Bishop's School in Pune, and he went to college at St. Joseph's College in Bangalore. He spent a short time at the Birla Institute of Technology (BITS) in Pilani, but soon transferred to United States via a Cal Tech Transfer Scholarship. He earned a bachelor's degree from California Institute of Technology and then he went on to get a master's in electrical engineering from Stanford University. His first job after college was as a hardware engineer for Apple Computers and Firepower systems Inc. He was amazed that he could access any software by using the internet and a web browser. On July 4th, 1996, Bhatia and his colleague Jack Smith set up Hotmail. Hotmail is still the world's largest e-mail provider; this email service has over 364 million registered users. He was the President and CEO for Hotmail, and through his leadership it quickly grew in popularity. In 1998 Hotmail was acquired by Microsoft, Bhatia continued to work with Microsoft for about a year. He started an e-commerce firm called Arzoo Inc in April of 1999. His many accomplishments and continued success earned him 'Entrepreneur of the Year 1997', by venture capital firm Draper Fisher Jurvetson. He received the 'TR 100' award from MIT, after he was chosen as one of 100 young innovators, who would have a great impact on the technology world. According to the San Jose Mercury News and POV magazine, he was one of the ten most successful entrepreneurs of 1998 and at Upside magazine's list 'Elite 100', he was one of top trend setters in the New Economy. He has been married to Tania Bhatia since 2008.